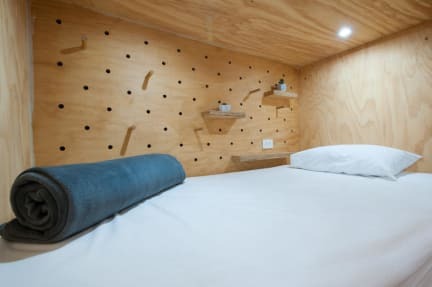 Capital Hostel de Ciudad i San Jose, Costa Rica : Boka nu! Cozy, clean and nice hostel. Comfy beds and great with a security box with key included for free. Also good and quite varied breakfast included in the price. 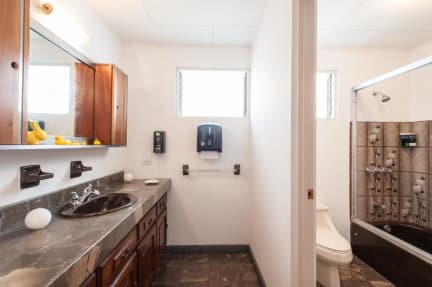 Only thing that was a bit disturbing was that the dorms wasn’t in a own room, but instead openly connected the common area and just one door to the smoking area. So it was hard to go to bed before everyone else.